How to create and leverage content that lures travelers to your destination and attractions. As a destination marketer you have numerous opportunities to reach and engage with your audience—but there’s a problem. Your audience doesn’t want to listen to you. As you know, a clear shift has occurred over the past decade as consumers no longer rely on advertisements to learn about a company or destination. With all the research we could ever need at our fingertips, branded and user-generated content far outweigh traditional methods when it comes to attracting travelers and tourists. DMOs must talk with their audience—rather than at them—using attention-grabbing, authentic content that provides value. This is as authentic as it gets. User-generated content (UGC) from travelers posting images, updates, and short videos of their positive experience at your location is compelling stuff—and the cheapest option in our list, by far. In fact, according to a study by the social media giant, Blitz Agency, 84 percent of millennials and 73 percent of non-millennials are likely or very likely to plan a trip based on someone else’s vacation photos or social media updates. So while word-of-mouth is still the top source of travel inspiration, Facebook and Instagram are a close second—and gaining fast! This means travel brands and the hospitality industry have a unique opportunity to create “share-worthy” moments. An easy way to make sure your UGC is categorized and easily searchable to inform and remind travelers of unique hashtags to pair with content. 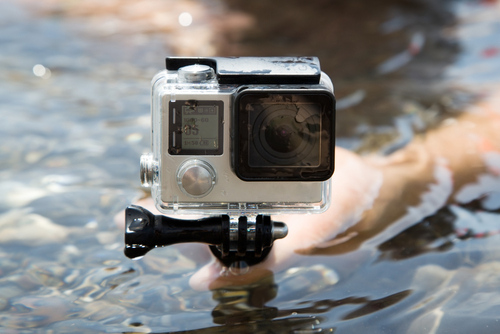 Marriott International took this concept a step further and began offering complimentary GoPro cameras for guests to use during their stay and share their experiences. Guests were encouraged to share photo and video content across social platforms using the hashtags #GoPro #travelbrilliantly and #viajegenial for a chance to be featured on Marriott’s website. According to a recent study Google conducted with Ipsos MediaCT, two out of three U.S. consumers watch online travel videos when they’re thinking about taking a trip. The study also found that travelers are most likely to search for travel vlogs, reviews, and tours/footage of the location—mostly from independent sources, but not always. Nineteen percent of viral video views come from brands and destinations themselves (see below). For destination marketers (and many others affected by the tourism industry) video is a powerful method to communicate excitement about a destination, service, product, or brand.